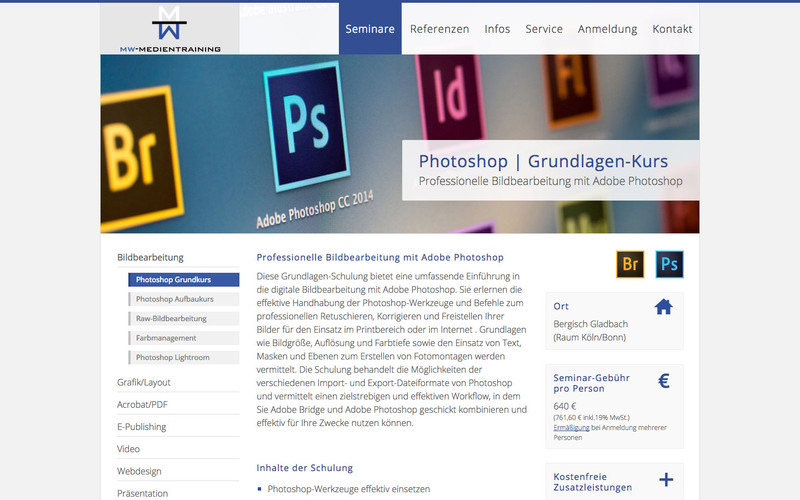 Website of the ASA-branch in Aachen. 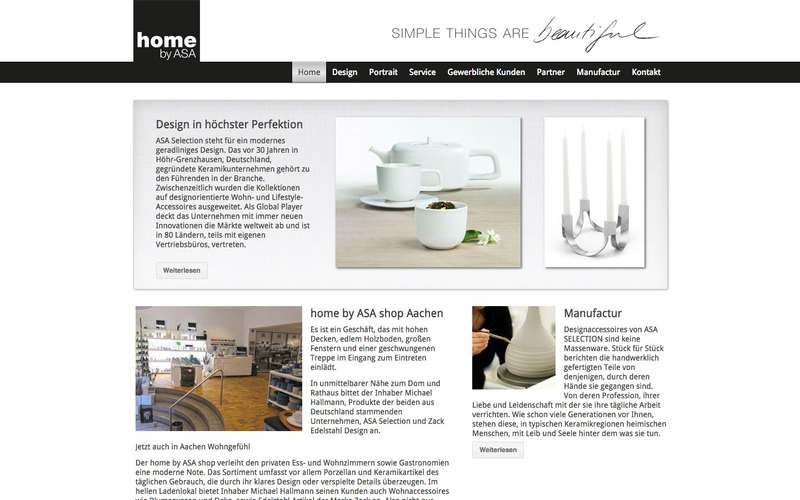 The black and white kept design elements and the simple structure of the website represent the company's philosophy "Simple things are beautiful". 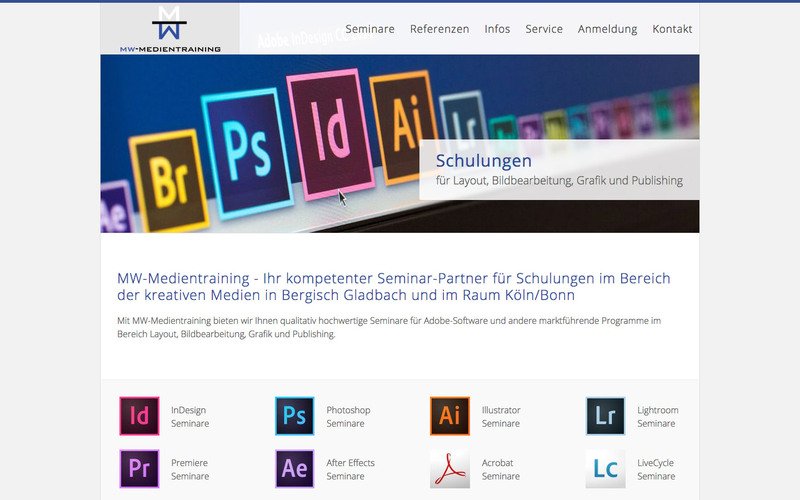 Informational and booking site of a seminar provider for training courses in the field of creative media. 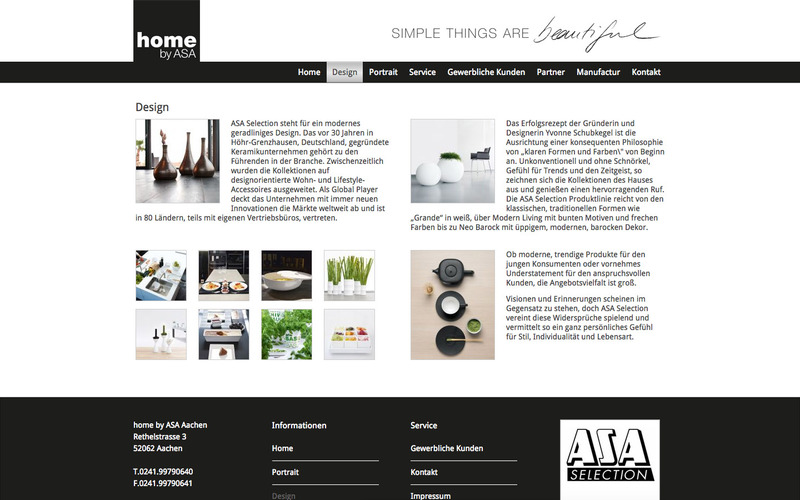 The modern and uncluttered design creates clear structures and user friendliness despite the abundance of information. 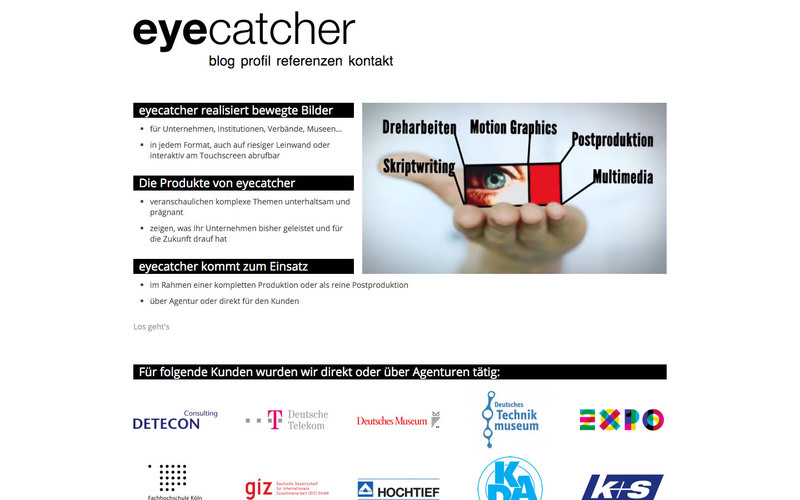 Presentation of a media production company in Cologne. 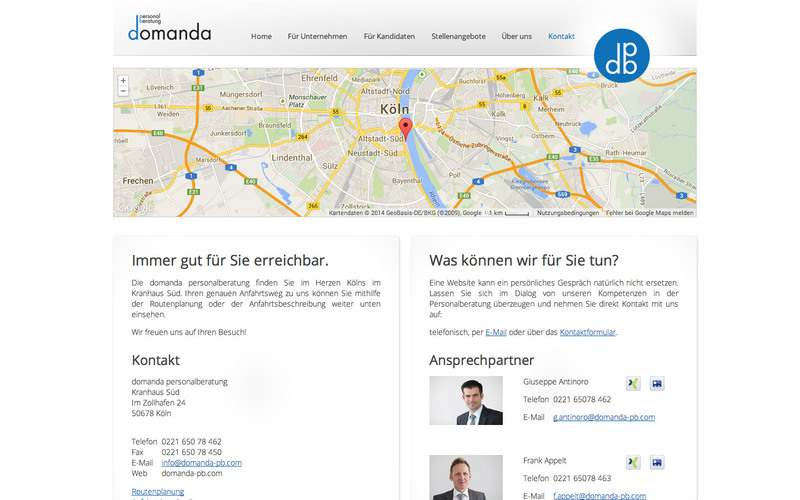 Clear and accurate - simple and modern. With a focus on the cinematic content. 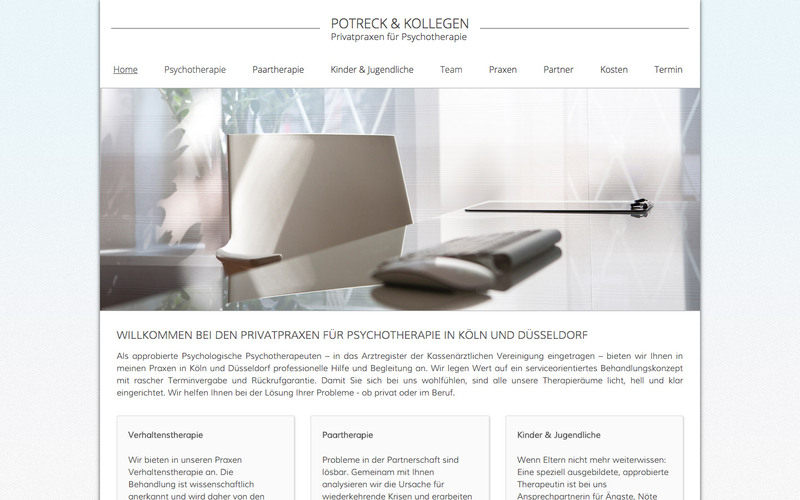 Web presence of a personnel consultant in the Cologne Rheinauhafen. 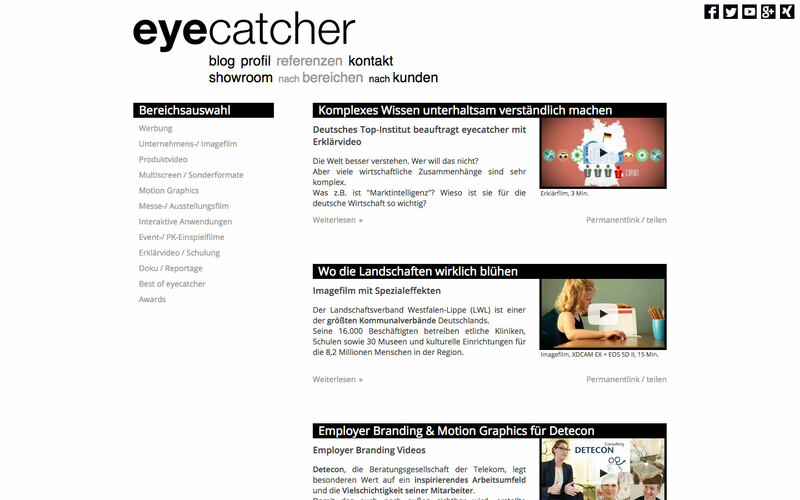 The design of the website represents the professional and reputable corporate image in an elegant manner and style. 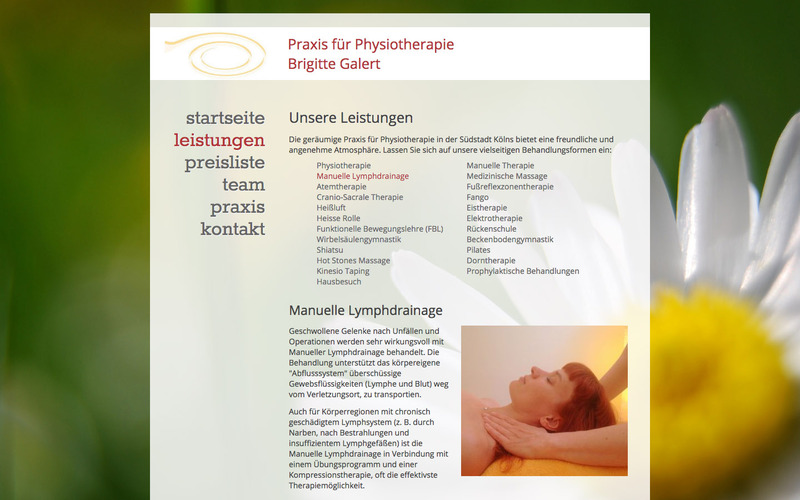 Site of a physiotherapy practice in South Cologne. 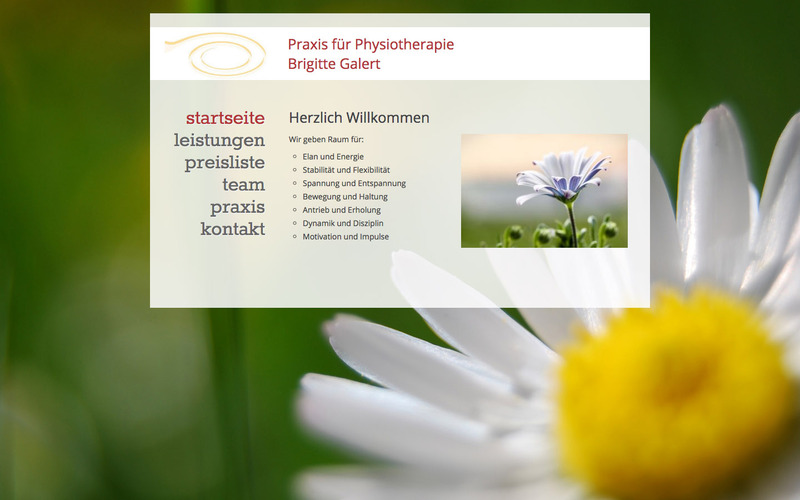 The design exudes lightness and well-being and reflects quite perfectly the character of the physiotherapy approach again. 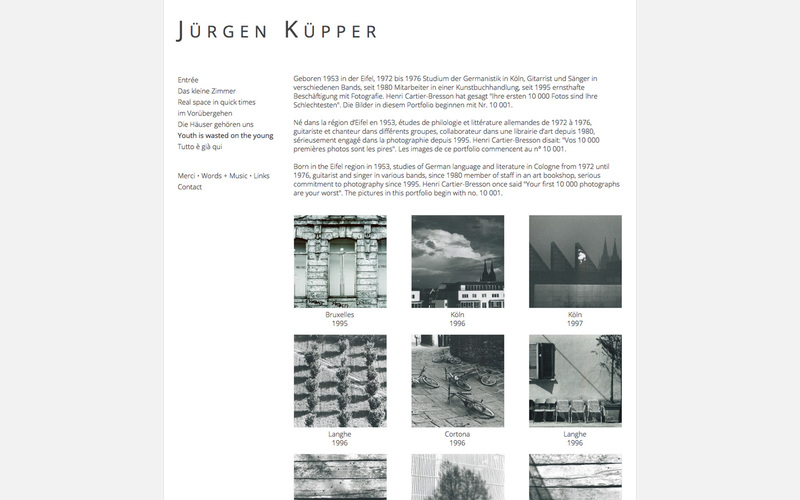 Site of a Cologne photographer. 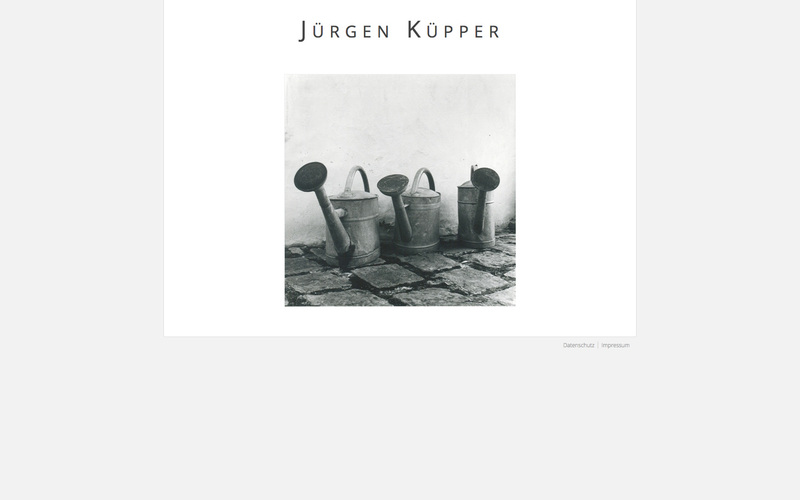 Characterized by its simple and elegant design in black and white. 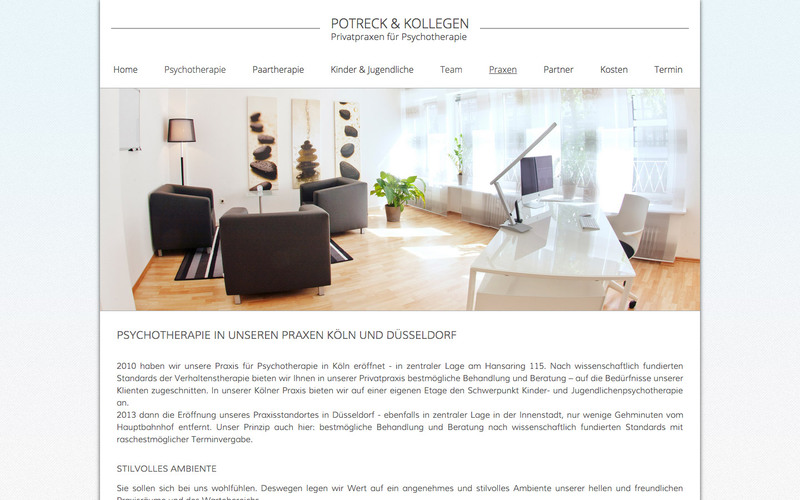 Website of a private practice for psychotherapy in Cologne, Bonn and Dusseldorf. 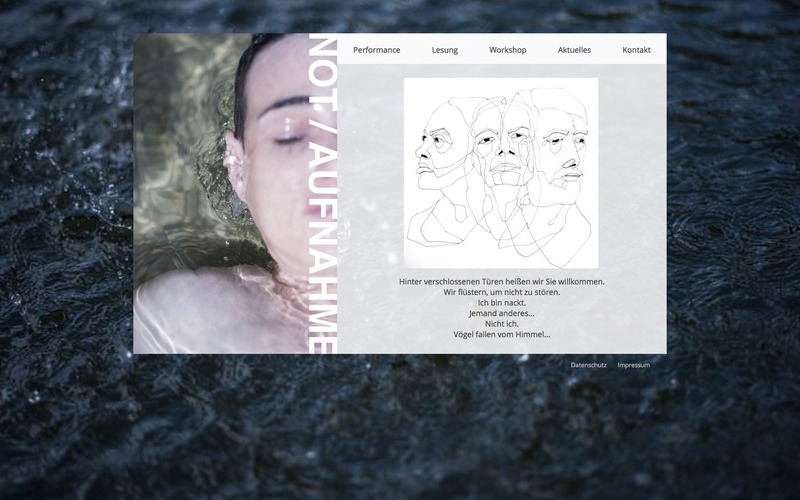 Project page of a Berlin artist. 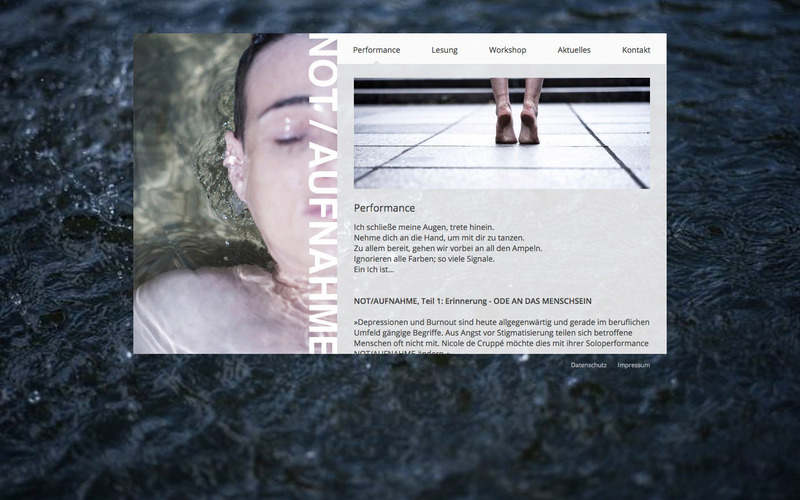 The central design element is the effectively powerful photographs that create an emotional and inquisitive-making mood.